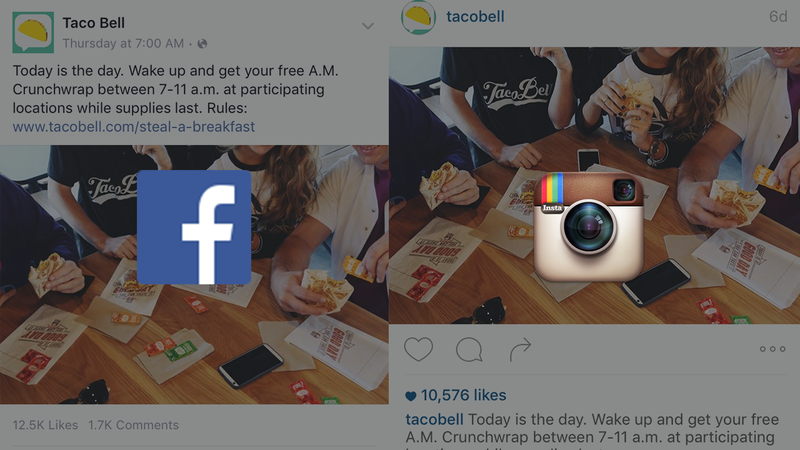 Advertisers have their best chance yet to double flank consumers on social media as Instagram continues to expand its advertising capabilities by building on what Facebook started long ago. Instagram has said it plans to work with 100 companies around the world to better improve the quality of its still young ad operation. The first 41 companies, unveiled Tuesday, are working with the platform to bring in new advertising business. Initial focus areas include improved planning and buying processes as well as better consumer insights and faster content-creation tools. Add in the fact that Instagram is now powered with Facebook's huge collection of interest-level user data, and the developments beg the question: Will well-budgeted campaigns now almost always include both Facebook and Instagram ads? New Instagram partners like Adobe, Salesforce, 4C, Spredfast, Hootsuite and AdParlor also often facilitate ads on Facebook. And since their platform-based allegiances are spread wide while also typically working with YouTube, Twitter, Pinterest, Snapchat, etc., we thought it would be interesting to ask them if Facebook Inc. in essence could become a one-stop shop for social campaigns. "We anticipate growth with the extended reach into Instagram leveraging Facebook's powerful targeting options," said Monica Lay, senior product marketing manager, Adobe. "Many are still in test and learn phase, particularly around direct response, so it's hard to quantify and estimate at this early stage." Eric Stahl, svp of product marketing, Salesforce Marketing Cloud, said, "Advertising on either Instagram or Facebook should not be thought of as part of a silo'd social-media budget, but as a core component of the advertising budget, especially as customers spend more and more of their time on mobile devices." Aaron Goldman, chief marketing officer, 4C, added, "Having a streamlined solution to adapt content from one platform to another will be essential for advertisers who will want to achieve the most value from their assets and manage campaigns at scale." So the answer is, Yeah, you're going to see ads in concert from the same marketers on Instagram and Facebook a lot of the time. And it's not terribly difficult to understand why—the amount of time mobile users spend on either Facebook or Instagram is staggering. According to Intsagram, one in five minutes spent on mobile devices is spent on either of the two platforms, a statistic that illustrates one of the reasons monthly and daily user counts continue to skyrocket. "It's hard to say that democratizing access to Instagram ads to both developers and businesses will not grow ad spend," said Zaz Floreani, senior director of business development, Spredfast. According to Hootsuite, the social advertising industry continues to steal budgets from traditional channels, especially as platforms like Instagram and Facebook are able to increase their ability to measure ROI for social promos. Because of that, large-scale growth should be expected. "Instagram provides access to a very large, very engaged audience," a spokesperson told Adweek. "The fact that you can use the same rich Facebook targeting criteria on Instagram will make it massively effective for advertisers looking to get their products or services in front of exactly the right people at the right time." Paul Van Winssen, director of operations and client services, AdParlor, said his clients are excited about the possibilities. He didn't name specific brands, but AdParlor works with everyone from Walmart to Molson Coors to MGM Resorts International. "Brands and agencies are still exploring where Instagram fits into their overall marketing mix, but we can say nearly everyone we've spoken to is interested to give it a test drive and see how it works for their business," he said.